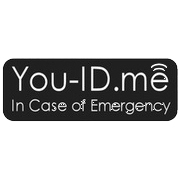 You ID Me is a leading emergency ID and alert service for people that need to carry or wear an emergency ID product. The You ID Me works via ID products such as ID cards, bracelets , wristbands and tags and quickly informs first responders in an emergency and alerts emergency contacts such as next of kin. It's very fast in an emergency and is used by many thousands of subscribers.